LUDWIKA: A POLISH WOMAN’S STRUGGLE TO SURVIVE IN NAZI GERMANY IS #FREE ON AMAZON: UNTIL JANUARY 22. Blurb: It’s World War II and Ludwika Gierz, a young Polish woman, is forced to leave her family and go to Nazi Germany to work for an SS officer. There, she must walk a tightrope, learning to live as a second-class citizen in a world where one wrong word could spell disaster and every day could be her last. Based on real events, this is a story of hope amid despair, of love amid loss . . . ultimately, it’s one woman’s story of survival. I’m extremely hopeful for this book: It has done better than all my previous books in pre-sales and it surprisingly sold out completely at the Kensington Book Fair last Saturday, where I had presented the already released paperback version. Here is a review (from an Advance Review Copy) by Lorna Lee, author of “Never Turn Back” and “How Was I Supposed To Know”, to whet your apetite. “This is the best kind of fiction—it’s based on the real life. Ludwika’s story highlights the magnitude of human suffering caused by WWII, transcending multiple generations and many nations. WWII left no one unscarred, and Ludwika’s life illustrates this tragic fact. But she also reminds us how bright the human spirit can shine when darkness falls in that unrelenting way it does during wartime. 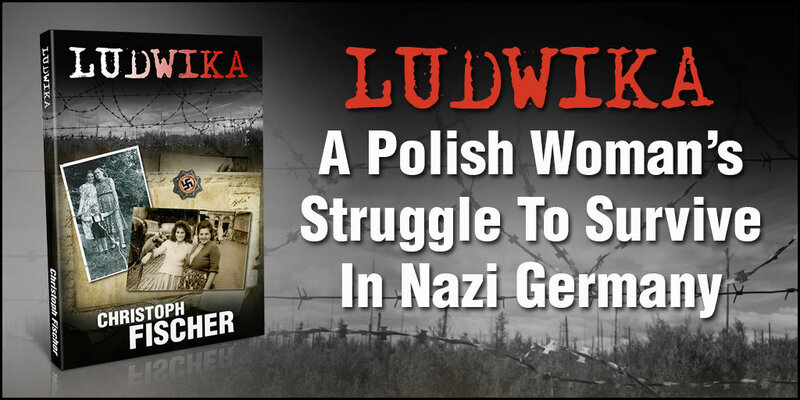 Ludwika: A Polish Woman’s Struggle To Survive In Nazi Germany by Christoph Fischer starts with an introduction to the story’s protagonist, Ludwika Gierz, a 4 foot-ten inches, 22 year-old, beautiful Polish woman with piercing blue eyes. Children like her because of her friendly disposition. She has a 5 year-old daughter Irena from a non-marital relationship she had years ago, after which the father of the child left town. The well-written prose starts with subtle undertones of what lies on the horizon and we know there will be danger: the German invasion and fleeing of the townspeople, including Ludwika’s father, who disappeared with the retreat of troops; and the fact that Ludwika’s looks, her beauty, was once an asset but now is a liability as it attracts brutish German soldiers. It is a time of war with Hitler’s regime moving in and taking over, which establishes the story’s tension and conflict. In her town in Poland, Ludwika works her farm with her younger sister and mother. Siblings are mentioned, including her brother Franz who drowned in a river 2 years earlier, the memory still raw and painful. The story is off to a good start as we care about the protagonist and sense the danger that’s been alluded to. The story progresses and Ludwika encounters a Nazi soldier on the road who becomes attracted to her and protective of her, granting her rights others do not have. As Jews are being hauled off and the elderly assassinated, Ludwika is learning German from the translator that her “Nazi friend” has enlisted to help him. There’s now enough conflict in the story to propel it forward in this horrific time in history where madness prevailed. Without retelling this page turner suffice it to say that it goes deep and does not hold back as the plot moves through Ludwika’s drive to survive, and all the emotional turmoil, good and bad, that goes along with it. I’ve read several other books by this author and have to say that next to The Luck of the Weissensteiner’s this is my favorite. In this World War II novel, Ludwika Gierz, a young beautiful Polish woman, suffers the loss of all the men in her life. She is still in mourning of her brother, Franz, who has drowned two years earlier when her father goes missing in action in the beginning of the war. Her mother, her sister Stacia and her young daughter Irena are left to fend for themselves on the farm while the German invaders force their neighbours off their land. Manfred, a handsome SS German officer, falls in love with Ludwika and the family is allowed the special privilege of remaining in their own home on condition that she accompany him to Germany. She is forced to leave her family behind but she believes her sacrifice will guarantee their safety. Her decision begins her horrific journey of pain and suffering as she lives first hand the humiliation of being a young innocent woman at the mercy of cruel oppressors. Christoph Fischer’s historical novel, Ludwika: A Polish Woman’s Struggle To Survive In Nazi Germany is a riveting page-turner that presents human drama at its best. Great to see Christoph Fischer, author of The Three Nations trilogy, back with another classic world war 2 story. This is probably his tightest, best work yet. It’s intense and cinematic. Fans of world war two dramas will eat this one up. Well done! 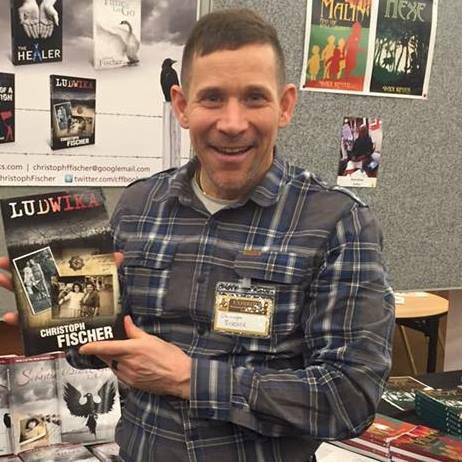 “Ludwika” is another suspenseful historical novel written by Christoph Fischer. 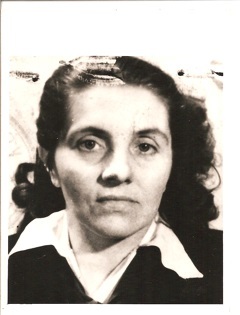 It’s a unique story about a Polish woman in Germany during World War II. The author has the keen ability to reach you no matter what topic he is writing about. There is a great sense of urgency to tell the tales. This one is no exception. This might be what he does best though his other novels are all filled with a unique passion. This is an emotional narrative that pulls on your heartstrings. Realistic and entirely gripping throughout. Not at all what I expected but once started I was hooked. Lured in by the comfortable writing style and the ease in which Lidwika’s story is told. Mr. Fischer manages to share a different angle of world war II and this specific period in time which makes for a deeply compelling read. To know that this is based on Ludwika Gierz’s true-life events made it that much more enthralling. Her adventures, her choices and the choices that many people have lived through was told with grace and finesse. A real life force. As sad as this tale is, there is also hope, inspiration and a spirit that sores high in the sky. This is an emotional thought-provoking World War II drama that is filled with tension and well-researched authentic scenes that convey images, which are powerful and profound. 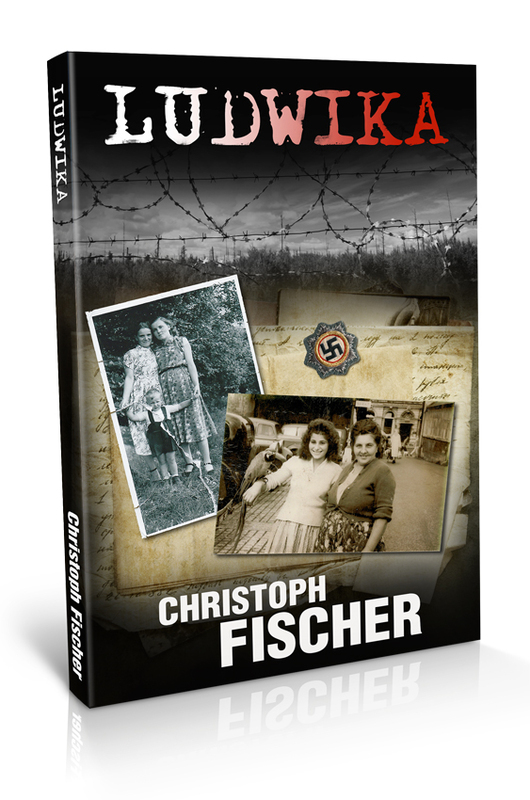 “Ludwika: A Polish Woman’s Struggle To Survive In Nazi Germany” by Christoph Fischer is all the more riveting because it is based on actual events. Fischer is an accomplished author of historical fiction and this book surpasses his earlier work. “Ludwika” is the type of read which is impossible to forget. I remember the question she is asked “Are you Jewish?” The implications of those three words innocent words became chilling during World War II – the consequences were inescapable and, of course, the outcome depended on who was doing the asking . . . Highly recommended. Five stars. Christoph FischerAn atounding and emotional story. Ludwika is a book of true depth and one would expect nothing less from this outstanding author. 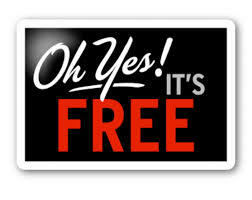 If you have read the other Fischer novels, you willl understand the quality of the writing delivered. Ludwika: A Polish Woman’s Struggle To Survive In Nazi Germany takes you to a time of heartache, human emotion and feelings almost beyond comprehension. Ludwika and her sister began harvesting the wheat. It was exhausting having to do such a big field only with scythes but it was the best that they could do. They had seen Karol Wojick, one of the neighbouring farmers hide parts of his machinery in a shed in the woods before he had joined the defence. Many of those who had decided to flee the invasion had taken as much of their valuables with them as possible and hidden the rest in the hope of retrieving it later. 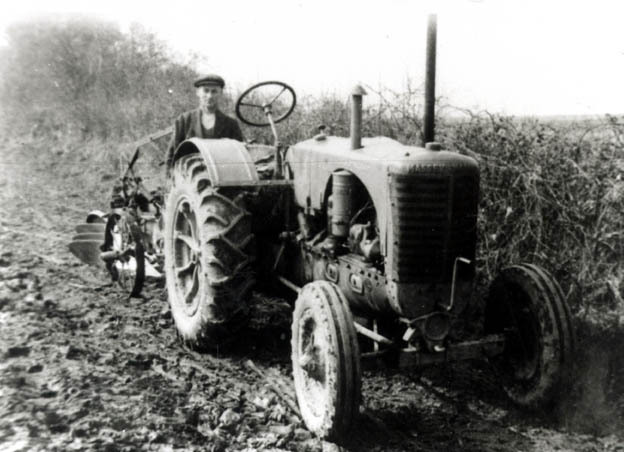 This had created a shortage of materiel and, coupled with the manpower shortage, made the farming work so much harder. She pointed at the wheat they had cut. “We need to get it off the field, too,” Stasia added, close to tears. “Don’t worry,” Ludwika said, trying to stay optimistic. Her sister was right, though. Something needed to be done soon. AS much as she tried, though, she couldn’t come up with any good solution. Then it hit her – the farm equipment Karol Wojick had hidden in the woods. “I’ve got an idea,” she said and told Stasia what it was. “You’re crossing a line,” Stasia warned her when she heard the plan. Her voice, however, carried more admiration for Ludwika’s bravery than gloom or worry. 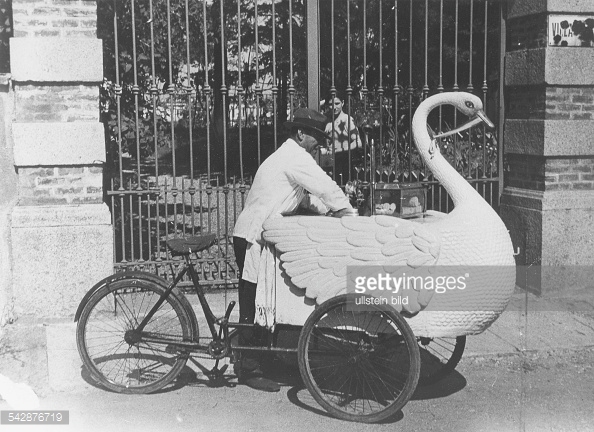 “Sooner or later the szkopy will find the shed and take away what’s in it,” Ludwika replied defiant. Stasia giggled at her sister using such a bad word for the Germans. Even though they were alone, she looked carefully around to see if any of the ‘castrated rams’ could hear them. “Better it got to some use before then,” Ludwika said, serious despite the joke. “We promised mother not to take any risks,” Stasia said, although her warning sounded half-hearted. 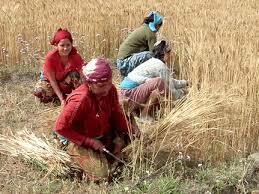 Stasia grabbed the scythe and bent down to cut more wheat. “I’ll be waiting for you with the bushels,” she said. Stasia was always so full of energy and optimism and Ludwika was grateful that the brief moment of weakness had been overcome. It hadn’t been difficult to break the lock of Wojick’s shed and even less difficult to get an old tractor going that she found there. Her brother Franz had borrowed it often in the past. He had drowned in the river two years ago. The memory of his passing still stung Ludwicka; she missed him more than ever. But thanks to watching him closely when he used the tractor, she would be able to bring the bushels off the field and into the safety of their family farm. Ludwika’s dark curly hair kept falling into her face as she steered the out of the woods and onto the open road. She had lost her hairband somewhere on the way and was struggling to keep a clear vision. For her this was a welcome distraction from the dangers that were looming and were foremost in her mind. That engine made a terrible noise; she worried over the attention it could bring. Would the ‘szkopy’ allow her drive on the road, she wondered? Would they confiscate the tractor if they saw her? Would they beat her as they had done with so many others for no good reason? Anything a Pole could do was automatically ‘verboten’, it seemed. If she was found, the Germans would understand, surely – the crop had to come in. It was already late in the season, since the war had delayed the harvest. What did the invaders intend to do about the harvest? They could not let the good food go to waste; didn’t they need provisions, too? She kept her eyes steadily on the road and tried not to think about the dangers. The Germans had not been seen around their tiny village for a few days, which had encouraged Ludwika to go ahead with this risky enterprise on her own. At a height of 4 foot 10, with piercing blue eyes, an attractive bone structure and a curvy figure, Ludwika turned many a head. Her beauty, once an asset, had attracted the wrong kind of attention from the brutish soldiers. She wished for her hair band now that would help distract from her features. The roads into the village were deserted, only some women were digging for potatoes in the neighbouring field. Przedborów had no defined village centre or a market square, most houses being small farm buildings, made of stone with simple tiled roofs or just wood, surrounded by sheds, stalls, orchards and small woods. It was difficult to know what was going on behind the next farm. What was a quiet and peaceful atmosphere in the days before the invasion, now felt eerie. The women in the field were visibly relieved when they saw that the engine noise they heard was coming from Ludwika’s tractor and not a German tank. Soon she would join Stasia on the wheat field. Ludwika hadn’t felt comfortable leaving her sister alone but today it was unavoidable. For a 17 year old, Stasia was mature in looks, and very pretty. Ludwika feared this would make her a target for passing soldiers. Stasia was also overconfident and loud and likely to do something hasty. It was a constant worry for her family. Still, Ludwika wouldn’t know what she would do without her little sister. They supported each other in this frightening time and kept each other’s spirit up. They refused to believe the rumours that all Polish people would be deported from their properties and that their land and livestock be given to German settlers. With so many empty houses and farms around, the Germans couldn’t possibly have enough workers to take them all over? Surely the Poles who had stayed behind and hadn’t been deported would be left their possessions. Ludwika couldn’t imagine this ‘cleansing’ to happen as many feared. Regardless of how shockingly violent the force used by the occupiers had been so far, things had to calm down and sense had to prevail. All bad things would come to pass and might even return near to normal. Whenever their mother believed those rumours and got herself worked up, the sisters had each other to put things into perspective and keep calm. Today’s desertion of the village was due to another one of those rumours. 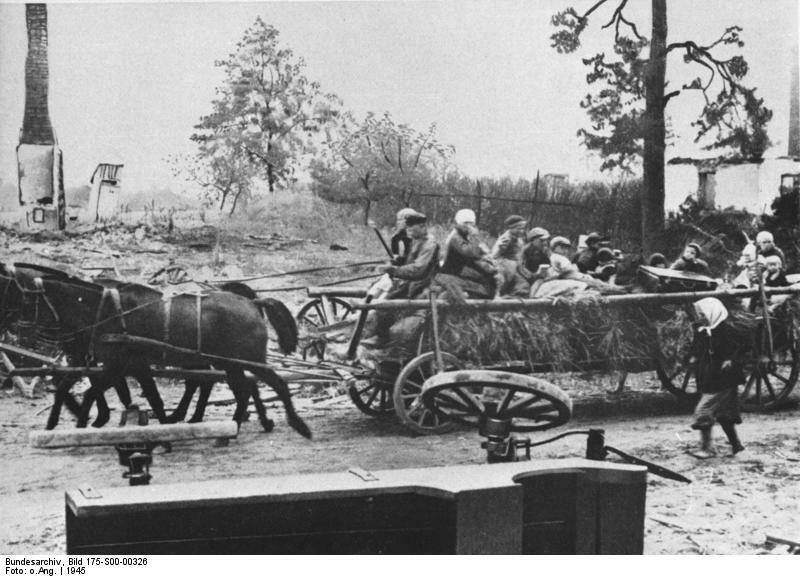 Further in the north, Germans were allegedly clearing entire villages and forcing the inhabitants to march east. The more hysterical reports even claimed that people were being led into the woods and killed by machine-gun fire. Others told stories of children being taken from their parents, allegedly to be given to childless couples in Germany. Who had heard of such cruelty? Seeing other Polish farmers showed Ludwika that she was not the only one who believed the stories to be exaggerations and scare mongering. She was almost at her field and could see Stasia waving at her when she heard the sound of a motorbike behind her. On it sat a German soldier who waved at her to get to the side of the road. She pulled over, expecting him to step down and talk but he gestured her to get off the road altogether. She only had a few yards to the next crossing, behind which lay the exit to her field. When she tried driving on the man blocked her way and pulled out a gun. She ducked and lost control of the vehicle, which now swerved into the ditch by the road. The man put the gun away and mounted the tractor, pulling her roughly off it. She pointed at her field repeatedly, hoping he would understand. She didn’t speak any German. She pointed at herself and said “Ludwika” and then pointed at the field and said “Ludwika.” He finally got it and drove the tractor out of the ditch for her and onto the field as she had intended to do herself. She ran after him and managed to catch up with the tractor as he stepped down. He pointed at himself and said “Manfred”, he bowed, then did the Hitler salute and went quickly back to his motorbike. Not a minute too soon as it turned out. He only had got back on the bike and started driving when a convoy of army vehicles came up behind him and rolled past the field into the village. Their sudden appearance was a worry. My new novel Ludwika chronicles the life of a Polish woman from Przedborów working in Germany during WW2. The book was inspired by a real story. 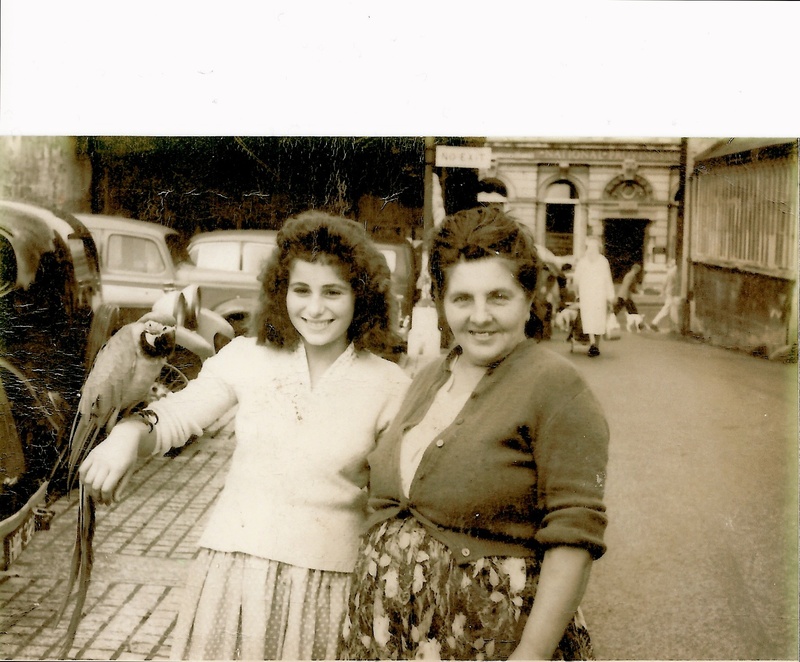 ‘Ludwika’s family asked for my assistance in their ancestry research because I speak German and might be of use to find out more about their mother’s time in Germany. One of my other books, “The Luck of the Weissensteiners”, touches upon similar issues of Displaced People in Germany after WW2. With strong support from my sister, who still lives in Germany, I spent several months gathering data and contacts. I was fascinated by the subject and re-read a lot of the books and sources and then decided to fictionalise Ludwika’s life. I think it will be more rewarding and powerful a reading experience for you to find out after you have finished the novel how much of the story is true and what is fiction, so I will not disclose more specifics here. However, if you know of people with similar fates, still alive, show them the book. This is a picture of Ludwika, taken by the Germans ca 1944. Her family wants to connect with relatives who might still alive in Poland and who may have known her during the war. There are still some gaps in their understanding of what has happened to Ludwika in Germany. People in extreme situations, like during WW2, had to make incredibly tough choices. There was no logic, guarantees or protection from the madness that raged at the time. So much bravery and hardship remains to be told and understood. By telling this story I hope to help fester humanitarian values. In order to present the book in London at the Kensington Christmas Book Fair in London, December 12th this year I have released the paperback version already. The cover was once again designed by the talented Daz Smith. The mother still looked a little suspicious at Ludwika but as soon as the train had started she ran towards the toilet with Martin, the oldest of her boys. He had soiled himself by now, unable to wait and she had to clean him up and put some fresh clothes on. Ludwika smiled at the obedience to rules the young mother had demonstrated by not going to the bathroom, even though it was a child emergency. It occurred to her that from now on she would probably have to conform to the same bureaucracy and strictness. By the time mother and son returned Ludwika had already made good friends with the remaining three, who were busy teaching her more German nursery rhymes. Martin, the young boy in new clothes, also joined in. The woman watched in awe as her children were completely taken in by Ludwika, almost oblivious to their mother. Once the inspector had seen and validated all of their tickets, the German woman took out a book and read. Ludwika froze when she saw that it was a book written by Adolf Hitler himself. She heard her father’s encouragement in her head to keep going and not to worry about anything before there was a need for it. It was true, the woman would mean her no harm, not while Ludwika was taking care of the children. After the singing had stopped the children told her about their grandparents’ big villa by the Alster in Hamburg and how they looked forward to eating ice cream at its shore. The mother had obviously decided to leave her to it and only occasionally spared a glance around the compartment, the rest of the time her head was turned towards the window and deep into her book. Undeterred, Ludwika was grateful for the children’s company and the happiness it brought her. The oldest boy, he looked about six, asked her to read them a story from their book and she happily obliged. It would be good practice for her. She found it very difficult, however, and the children didn’t seem to understand her renditions of a German folk tale. The mother put her book down now and took the seat beside Ludwika. “Don’t give up so easily,” she said. 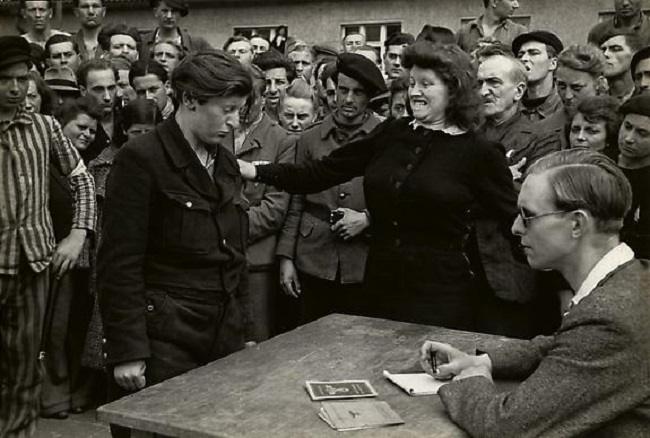 Ludwika couldn’t make out if the woman was scolding her or meant to encourage her. The tone was harsh but the face seemed benign. Ludwika started a different fairy tale, and every time she mispronounced a word the woman would step in and correct her with surprising patience, while one by one the children fell asleep in their seats. She looked her up and down. “Poland,” she replied, a little nervous. “I know that, but which city?” the mother asked. “Near Breslau,” Ludwika decided on. Ludwika jerked and shook her head vehemently. 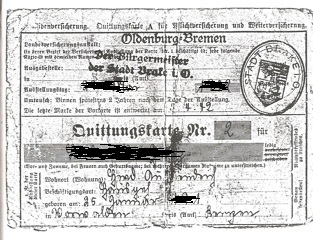 Millions of People from the East were forced to work under harsh conditions as ‘Ostarbeiter’ for a labour short Reich. It is a subject often neglected because it pales in comparison to the horrors that occurred during that period. When we hear Displaced People we know they are not just Holocaust survivors from the death camps but stories about the relocation of the Displaced People often focus on Jews trying to get to Palestine. What happened to the rest of them in the chaos that followed German’s Capitulation is little known about. 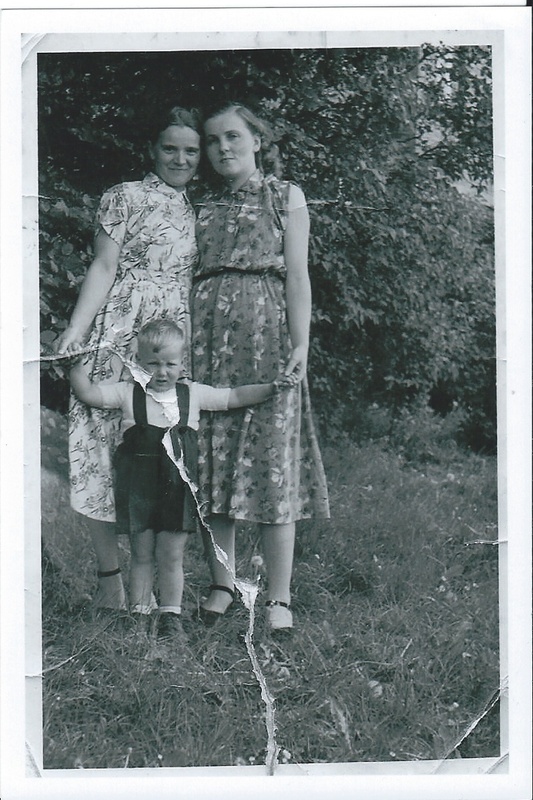 My novel Ludwika tries to shed some light on that topic, and I tried to show what life was like for Polish people in Germany during the war. Ludwika’s story is one of many to be told that doesn’t involve as tragic a life than those in Auschwitz but from her perspective it was no ‘Luck’ either. 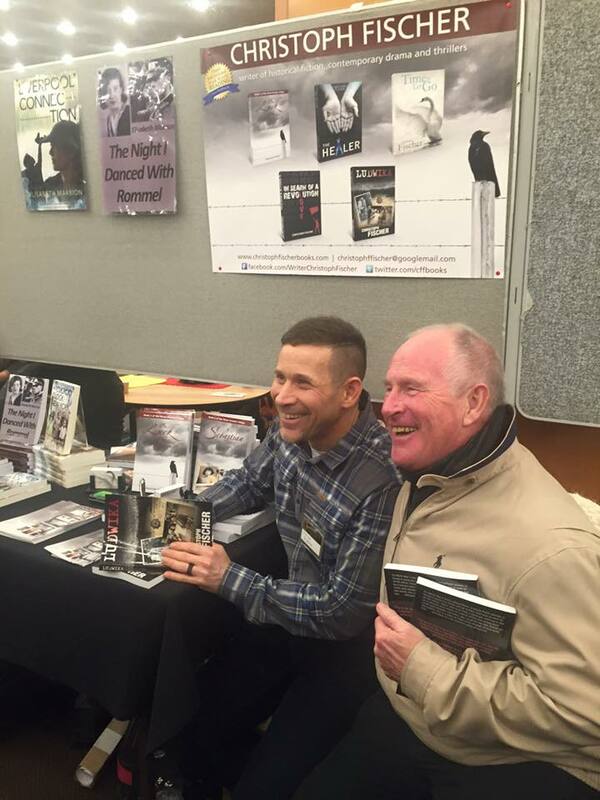 In order to present the book in London at theKensington Christmas Book Fair in London, December 12th this year I have released the paperback version already. The cover was once again designed by the talentedDaz Smith. The book was inspired by a real story. ‘Ludwika’s family asked for my assistance in their ancestry research because one of my other books, “The Luck of the Weissensteiners”, touches upon similar issues of Displaced People in Germany after WW2. With strong support from my sister, who still lives in Germany, I spent several months gathering data and contacts. I was fascinated by the subject and re-read a lot of the books and sources and then decided to fictionalise Ludwika’s life. My new novel Ludwika starts in Przedborów Poland, October 1939. When we think about 1939 we immediately think World War 2 and when we do so, we think Holocaust, Concentration Camps and Jews. Although we know that Hitler’s invasion of Poland kicked off WW2, we tend to know about Stalingrad, the Battle of Britain and the landing of the Allies on D Day. 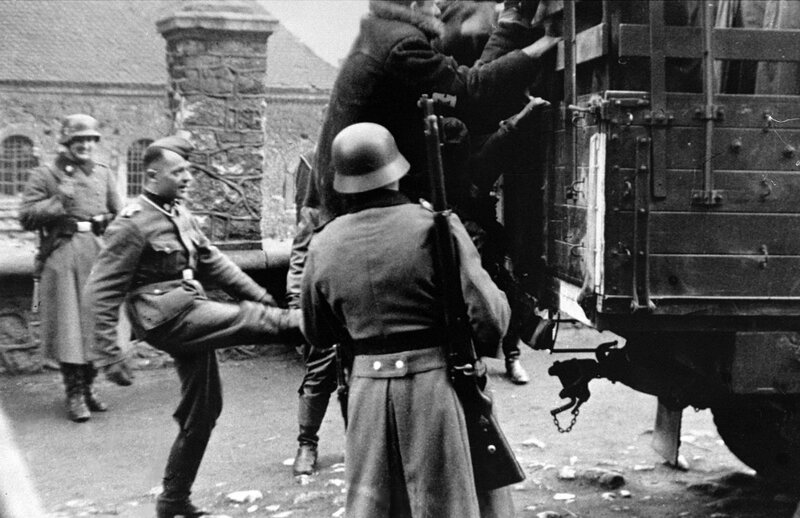 If we think about Poland at all, we think of the Warsaw Ghetto, The Warsaw Uprising and little beyond that. I say we, because that was me, until last year. 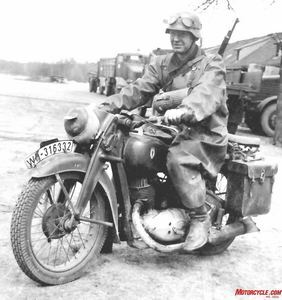 A conversation with a friend of Polish ancestry made me wonder what life in occupied Poland would have been like. Border Regions were annexed into the German Reich. With the frequent changes of the borders of Poland and Germany many Polish Citizens at the time were Germans or Aryans and they were immediately accepted as members of the enlarged Reich. Others were not so lucky and were forced to leave their homes and were pushed towards the East. 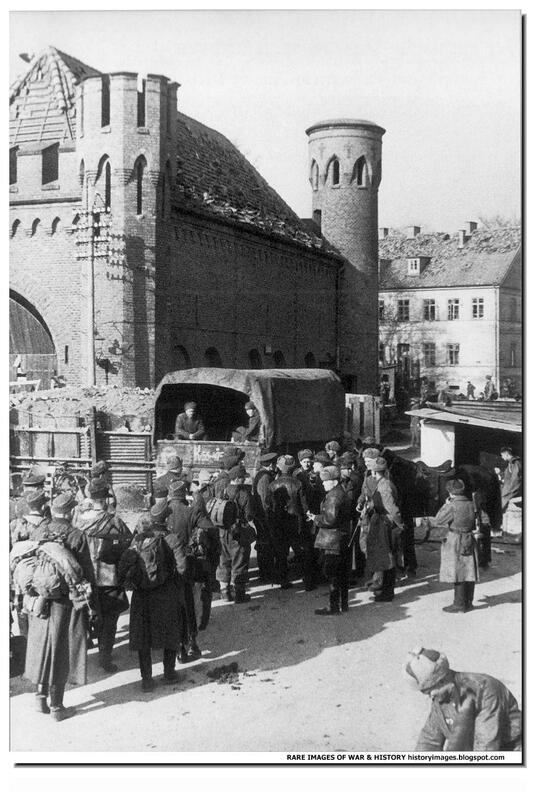 Later, when the military machine took away most German men from civilian work projects, Hitler forced people from Poland and other Eastern Countries to work on German soil. Ludwika’s story is one of many to be told, a story that doesn’t involve as tragic a life than of those sent to Auschwitz; but from her perspective it was no ‘Luck’ either. “The Ian Fleming Files: Operation Armada” by Damian Stevenson is based on a simple but brilliant idea: To use the creator of the James Bond series and make him the hero in his own James-Bond-style adventure. Set in 1940 it shows Fleming as a Naval commander who is on a secret mission in France regarding the French Navy. As Fleming used to be an navy officer in real life this has an excellent real feel to it, an idea so simple and genius, you wonder why nobody has thought of doing it before Many have written James-Bond style books, but few have thought of going to the root of the creation itself. Very authentically written the story has everything that you would expect from a James Bond story: thrilling action scenes, gadgets, women and cars. I am a big fan of history and absolutely loved the idea of bringing Bond into the past rather than the future. For me James Bond is a cult figure and I find that the recent film instalments with the ever increasing pyrotechnics and technology advances take the fun out of the original idea. Stevenson has done a fantastic job at extracting the essence of Bond and choosing an excellent setting for his novel. I hate to use this phrase in reviews but I really am looking forward to a series of these books. How did the idea for the novel come to you? I was stunned by how successful the movie Skyfall (2012) was – over a billion dollars at the worldwide box office – given that the character was a 1950s creation and it occurred to me that there was a huge lack of awareness that Ian Fleming based his character on himself, that he was himself a spy during World War 2. Because Skyfall was such a hit, I thought there might be interest in a story that put Ian Fleming in similar circumstances to 007 but was rooted in biographical and historical truth. I studied literature at Oxford, worked with writers in Hollywood when I was an executive at DreamWorks and eventually decided it was time to give writing a go. I wrote screenplays for ten years with mixed success and turned to books about a year ago. My heart is definitely in books. How did you choose the setting for the story? Did you research much for the book? I chose to focus on what I thought was the most exciting Bond-like period of Ian Fleming’s life and the setting was thus dictated by the circumstances. Fleming was a reporter before and after the war and by far his most thrilling adventures took place during the war, specifically in 1940 when he was flown to Bordeaux to negotiate the purchase of France’s navy. So France during the Nazi occupation became the default setting, as well as some scenes at Admiralty HQ and elsewhere in London. Yes, a lot of research. With historical fiction, research and writing go hand in hand. Before, during and even after writing (when someone points out a mistake!). I had been casually researching Ian Fleming for years out of personal interest and then took it to another level when I started the book. One thing I have learned from research is that the Internet is highly over-rated as a source of information. The library, i.e. books, is where the real research comes. Until every book is scanned and readable on line, you have to go to the library. Ian Fleming, because he dominates so much and it’s told mostly from his point of view. I like the Denise character, the story’s femme fatale, because I like writing about women, especially dangerous Bond-girl types, lots of fun. I would like to say Fleming only because I had no choice but to draw on my own experience for his everyday emotions like love, hate, hurt, jealousy, etc. Also, I tried to depict him as the kind of guy that other guys want to emulate, a cool cat. In my fantasy I am like Ian Fleming but I am probably more like Henry Cavendish, his friend, who lives an ordinary existence without villains and femme fatales to worry about. Interesting question. I think a lot of writing is part planned and part discovery. I had a general sense of the plot – he goes to France, the Resistance help him, he is betrayed and gets revenge – but beyond that a lot of the story was discovered. For example, one of the plot motifs I like to use is that the best laid plans never go as expected. So initially Fleming’s parachute jump wasn’t a mis-drop but by following the motif of plans-going-awry I was able to come up with a twist on a twist: the first twist was that there is a traitor and the Germans know where the drop-zone is but by having Fleming miss the drop-zone when he parachuted it was more interesting – yes, the Germans were waiting for him, but there was a mechanical and weather problem that made him miss the intended landing spot and avoid the trap. I thought this made for good suspense. As you write you are always facing the dreaded foe of Predictability and one of the best strategies is to not know yourself what is coming next. It’s good to have a general idea – Fleming is parachuting into France – but it’s better if you don’t know every single step that happens so you can take unexpected turns as you write. If I know what is coming next then by definition it is predictable so in a way I have to be a little bit unware. I love rewriting. The end stage where you get to polish and improve and really see something substantive emerge. I find the beginning stage horrible and do all I can to avoid it – and then spend a lot of time hating myself. It’s the despair of the blank page versus the satisfaction of having created something out of nothing. They say god created the blank page to show you how hard it is to be god. I spend time with my young daughter every opportunity I get (I’m divorced) and I also play tennis and loaf around in the sun like a typical Los Angeleno. I read a lot and try to stay out of trouble. Which are your favourite books and authors? I love the classics, especially 19th Century British authors like Thomas Hardy and Oscar Wilde, big Shakespeare nut, Ian Fleming is a huge favorite, naturally, and for modern prose I love the ‘outlaw’ tradition in American writing, authors like William S Burroughs, Hugh Selby JR and Charles Bukowski. At the end of the day I love a great stylist, an author for whom it seems every word is a big decision. Which indie writers can you recommend? What three books would you take to an isolated island? I have written a suspense novella (Solstice), based on an unproduced screenplay I wrote a few years ago, which people seem to like. My one non-fiction book is a look at the 1983 movie Scarface – Scarface: The Ultimate Guide which no one buys but has the best reviews of all of my books. What I really want to do is direct. Just kidding. “Operation Parsifal” is out and the next one is “Operation Uncle Sam” set in the summer of 1941 that sees Fleming working with the Americans to get them into the war effort. After that I may write ‘The Ian Fleming Files: Origins’ and take the saga back to before the war started. “Operation Parsifal”, Book 2 in the Ian Fleming Files series is a remarkable achievement both in terms of historical accuracy and as a “Bond” / spy thriller. Ian Fleming acts as a spy in her majesty’s service and is sent to Egypt to recruit a German deserter and the mistress of a German industrialist to the British Intelligence. Parsifal is a secret organisation to bring down Hitler and replace him with a new Chancellor and naturally the Allies take an interest in this internal power battle and its consequences for Europe. As writer of historical fiction about the era I was stunned at the detailed research and the accuracy of the people, places and the times: The physical descriptions of the Nazi big wigs and industrialists, the scenes set in a bombed and semi-destroyed London and the feeling amongst the German nation so briefly before the end of the Reich to name but a few, all are portrayed with competence and perfection. The story itself also held great interest for me. I have seen all Bond films and very much enjoyed that Parsifal is written in a similar style but with a real historical connection rather than the invented villains with no connection to reality. For me that concept really worked and I found myself quite glued to the pages, wondering where the story line would take us next: Berlin, the Eagle’s Nest or Fort Alderney in the channel islands. Not only does Stevenson know his Bond and Fleming, he writes eloquently and with appropriate pace. There were no redundant stretches in the story line, dialogue and characters were well composed and made this a very enjoyable read. Now I’d like to know more about Fleming and his life so I could figure out how much of this is true and what was added as fiction. An intriguing and worthy read.